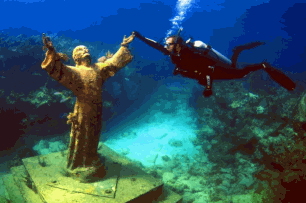 You may not have heard of the Florida Keys Marine Sanctuary, but you will instantly appreciate what they do. Starting just south of Miami and moving all the way down to the sea-fort at Dry Tortugas , you can see that it is not hard to see the work they do, as you marvel at the beauty that is the Florida Keys. And with all those extra people supporting a $853 million dollar economy, it isn’t hard to see that the waters that drive so many livelihoods need protecting and nurturing, and in comes the Florida Keys Marine Sanctuary. Looking after such unique resources such as coral reefs, shipwrecks, seagrass beds is just the beginning as with all these natural wonders laying there, people wish to dive, fish or just sail their boats across them. The marine sanctuary try their best to allow people to just enjoy these gifts, but with a few rules in place to stop people being…well typical people. So simple things like stopping spear fishing in the Upper Keys, from Long Key to Miami Dade County Line, or bringing in new regulations to prevent boats from running aground and damaging the precious coral and sea grasses. Or setting up a line of 30” yellow buoys along the reef line has enforced strict regulations about fishing, spearing anchoring and collecting. “Hey, guys we have to do something about the environment…it’s starting to suffer”. 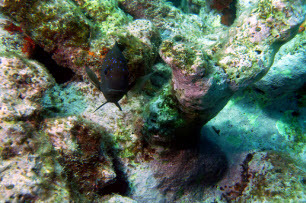 So with the concern highlighted the first underwater marine park was created at John Pennekamp Coral Reef State Park. In 1975, at Key Largo in the Upper Keys, Americas second national marine sanctuary was opened to protect the nearby coral reef. 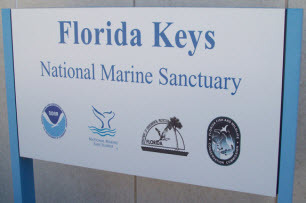 Then six years later in 1981, the Looe Key National Marine Sanctuary joined in the good work, and began to protect the reef at Big Pine Key in the Lower Keys. The economic livelihood in Florida is often based around the outdoors way of live, and the same is definitely true of the Florida Keys. The greatest challenge to protecting the natural resources of the Keys and the economy they support is preserving water quality. Whereas it was the exception for water clarity to drop below 100 feet of visibility in the 1970s, it has now become the exception for visibility to exceed 50 feet on most reefs of the Lower Keys. This is of course great news for fisherman and those looking to go diving in the sea. Moving, injuring, removing, or owning live rock or coral. Depositing trash or discharging other pollutants. Dredging, prop dredging, drilling, altering, or leaving behind any structure on the seabed. Operating a vessel in such a manners as to strike or injure coral, sea grass, or organisms attached to the seabed, or cause prop-scarring. Anchoring a vessel on living coral in water less than 40 feet deep when you can see the bottom. Anchoring on hard-bottom surfaces is allowed. Operating a vessel faster than idle speed as close as one hundred yards of stationary vessels, navigational aids marking the location of reefs and residential shorelines. Operating a vessel at more than idle speed within 100 feet of a diver-down flag. Diving or snorkeling without a dive flag. Operating a vessel in such a manner as to endanger life or limb, sea life resources, or property. Allowing the release of exotic species into the ocean. 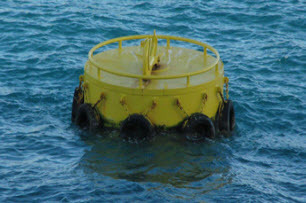 Removing or damaging markers, scientific equipment, mooring buoys, trap buoys, and boundary buoys. Moving, removing, injuring, or possessing historical resources. Removing and keeping protected wildlife. Using or owning electrical charges or explosives.